It snowed a little more last night and we picked up around an inch of snow. 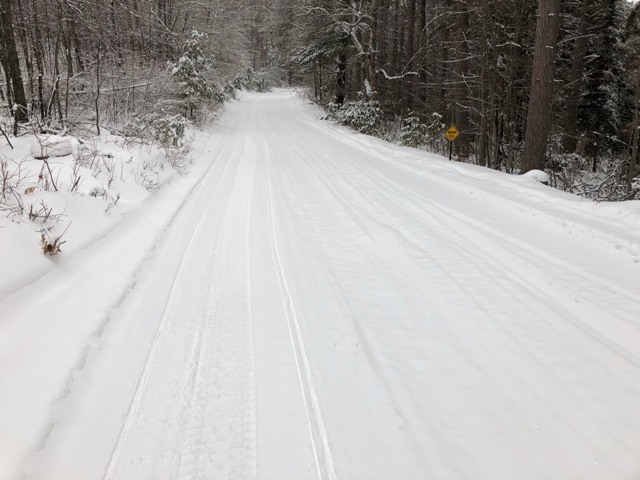 I headed out for a ride to see how things are hitting some St. Germain, Eagle River, Conover, Sayner, Lake Tomahawk, and Arbor Vitae trails. 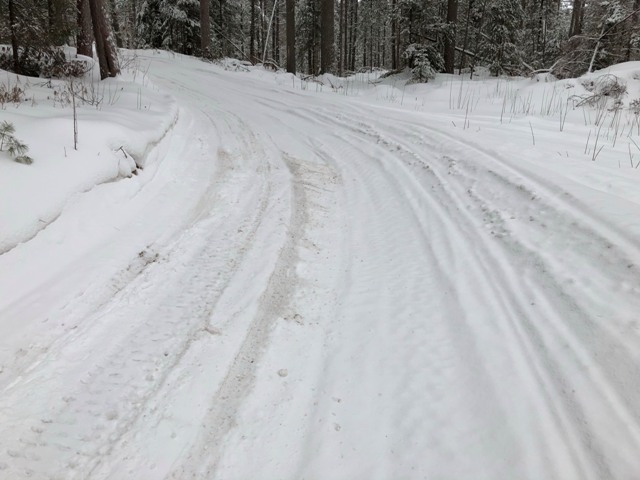 Majority of the trails I rode had been groomed. 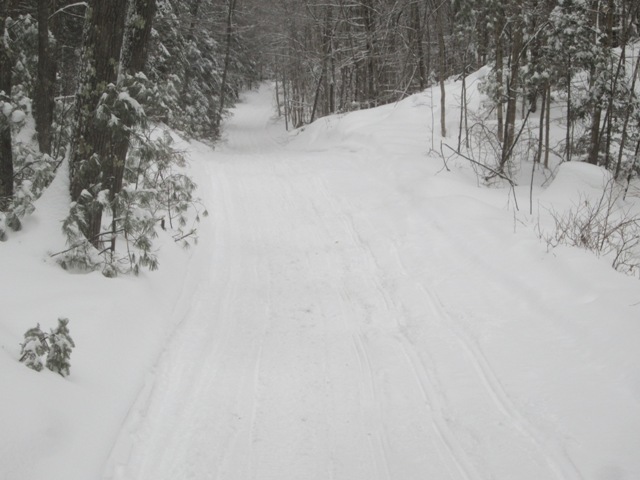 Sayner and Eagle River had groomed some of their trails I rode but not others. 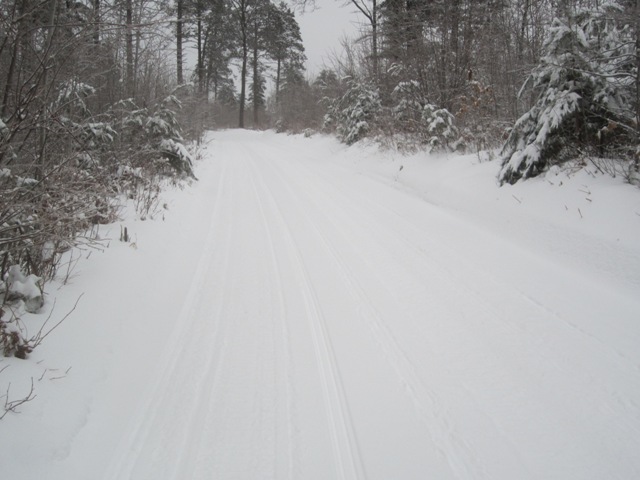 Most trails were smooth, some had some chop to them but with another grooming they should be all smooth. 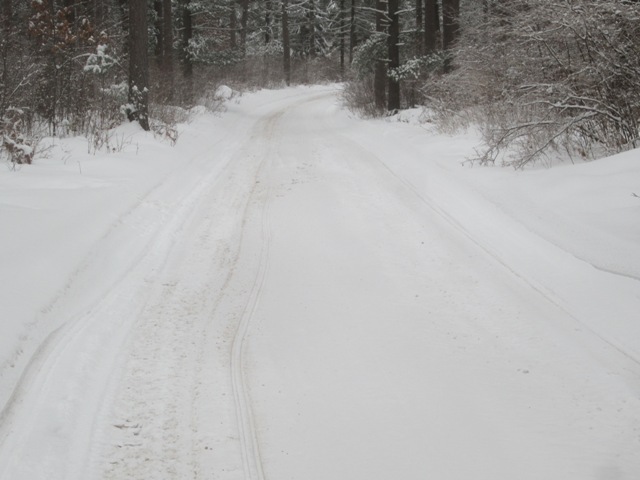 There were a few icy spots but not many. 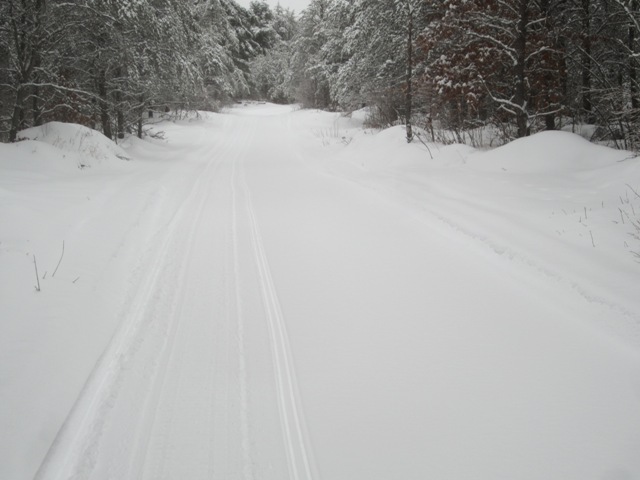 Some stretches were all white and great to ride. 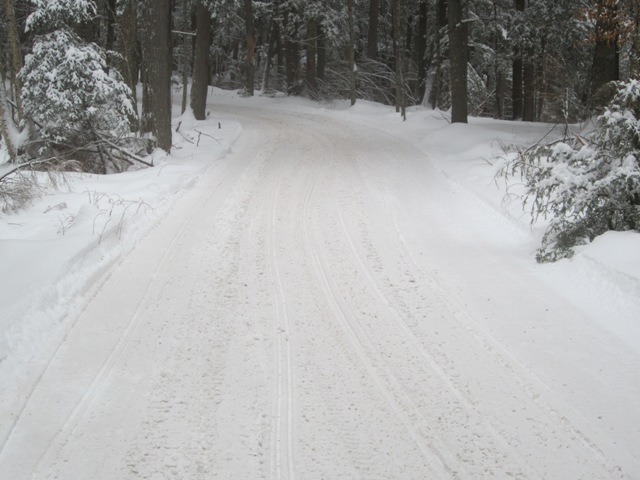 Some trails are brown and have snirt coming through. The snow the past couple days really helped and with the ice base they should hold up nice. 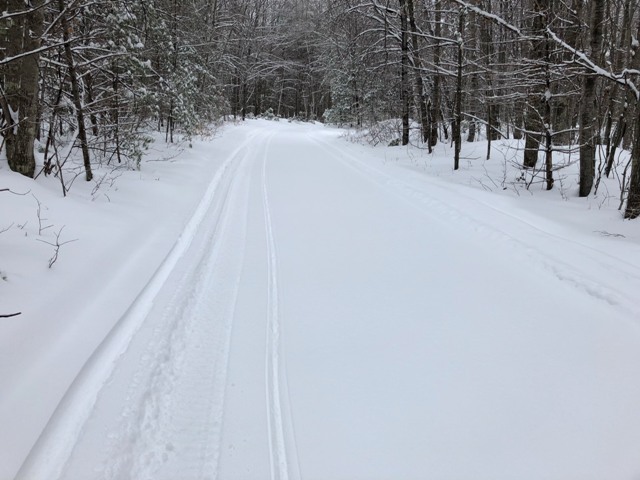 My guess is after a couple groomings and some cold temps, most trails should be good or better. I’m going to rate most trails in the good category. There are a few fair areas and more really good areas.